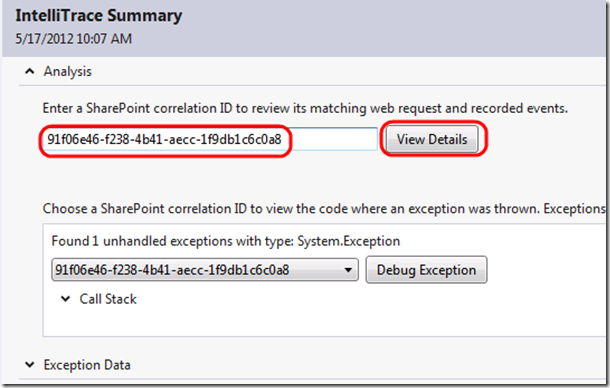 With IntelliTrace in Visual Studio Ultimate 2012 Update 1, SharePoint developers now have a way for directly using Correlation IDs to diagnose production issues originating from SharePoint custom code as well as debugging & fixing it. I’ve created a quick video in Arabic to walk you through a real-life scenario in which IntelliTrace was used to quickly diagnose and fix a production issue. You can watch the video here ..
For the English version of the video, you can watch the one available on Channel 9.